Kim Jae-gyu (Hangul: 김재규, March 6, 1926 – May 24, 1980) was a South Korean Army Lieutenant General and the director of the Korean Central Intelligence Agency. He assassinated South Korean President Park Chung-hee —who had been one of his closest friends—on October 26, 1979, and was subsequently executed by hanging on May 24, 1980. The National Intelligence Service (NIS) is the chief intelligence agency of South Korea. The agency was officially established in 1961 as the Korean Central Intelligence Agency (KCIA) (중앙정보부), during the rule of President Park Chung-hee's military Supreme Council for National Reconstruction, which displaced the Second Republic of Korea. The original duties of the KCIA were to supervise and coordinate both international and domestic intelligence activities and criminal investigation by all government intelligence agencies, including that of the military. The agency's broad powers allowed it to actively intervene in politics. He remains a controversial figure with many contradictions: he is regarded by some as a patriot who ended Park's 18-year military dictatorship, and by others as a traitor who killed his long-time benefactor out of personal grievance. For many years, the latter was the prevailing view, but later revelations in the early 2000s about Kim's relationship with some leaders of the democracy movement prompted a re-evaluation in some circles. Kim was born in Park Chung-hee's hometown, Gumi-si, in the southern Korean province of Gyeongsangbuk-do during the Japanese occupation. He graduated from Gyeongbuk University in 1945 and became a middle school teacher until the newly independent South Korean government established its military and created the Korea Military Academy, then called Joseon Defense Academy. He graduated from the Joseon Defense Academy in December 1946, the same year as Park Chung-hee, and from Army College in 1952. He served as a regimental commander in 1954 and as vice-president of the Army College in 1957, where Kim Gye-won was the president at the time. (Later Kim Gye-won became Chief Presidential Secretary to President Park and was present at the scene of assassination.) In 1961, when Park Chung-hee staged a military coup to seize power, Kim did not participate in the coup and was suspected of being a counterrevolutionary. He was temporarily detained until he was released on Park's order. He served Park's military dictatorship from then until his assassination of Park in 1979. 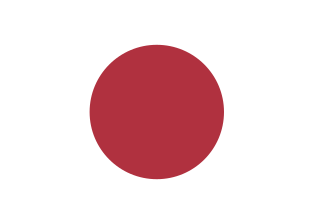 The Treaty on Basic Relations between Japan and the Republic of Korea was signed on June 22, 1965. It established basic diplomatic relations between Japan and South Korea. Chinese calligraphy is a form of pleasing writing (calligraphy), or, the artistic expression of human language in a tangible form. This type of expression has been widely practiced in China and has been generally held in high esteem across East Asia. Calligraphy is considered as one of the four best friends of ancient Chinese literati, along with playing stringed musical instrument, the board game “go”, and painting. There are some general standardizations of the various styles of calligraphy in this tradition. Chinese calligraphy and ink and wash painting are closely related: they are accomplished using similar tools and techniques, and have a long history of shared artistry. Distinguishing features of Chinese painting and calligraphy include an emphasis on motion charged with dynamic life. According to Stanley-Baker, "Calligraphy is sheer life experienced through energy in motion that is registered as traces on silk or paper, with time and rhythm in shifting space its main ingredients." Calligraphy has also led to the development of many forms of art in China, including seal carving, ornate paperweights, and inkstones. According to Cardinal Kim Sou-hwan, another leading figure in democracy movement, Kim (then KCIA deputy director) came to see him whenever there was political crisis. In 1975, he asked Cardinal Kim to speak with President Park to come up with the "third way," that is, to somehow amend the Yushin Constitution in a way that was acceptable to Park. According to Cardinal Kim, Kim compared President Park to "a sick patient" who needed weak medicine initially. Kim believed that the Catholic cardinal was the only person who could speak frankly to Park without repercussion and was disappointed when the talk was essentially fruitless. Kim's association with two key figures of democracy movement - Jang Jun-ha and Cardinal Kim Sou-hwan - led some to reconsider Kim's motive in assassinating Park. As Construction Minister (1974–1976), Kim promoted the entry of Korean construction companies into Saudi Arabia, increasing South Korean export to the Middle East twentyfold from $45 million in 1973 to $900 million in 1976 and thus making Saudi Arabia the fourth most important overseas market,  which helped South Korea weather the 1973 oil crisis. On February 4, 1976, Kim was summoned by President Park and was appointed as the director of the Korean Central Intelligence Agency (KCIA), one of the most powerful and feared positions under Park's dictatorship. The KCIA was created in 1961 to coordinate both international and domestic intelligence activities including those of the military with primary aim of combating communism and North Korea. Since then, it was also used to suppress any domestic opposition to Park's regime using its broad powers to wiretap, arrest, and detain suspects without a court order. The KCIA was responsible for widespread violations of human rights in South Korea, engaging in torture, political murder, and kidnapping. It was also heavily involved in behind-the-scene political maneuverings to weaken the opposition parties using bribery, blackmail, threats, arrest, and/or torture of opposition lawmakers. Later Kim claimed that he did not want the position but thought that it would give him the best chance to persuade President Park and reform the Yushin system. On the other hand, Kim was responsible for KCIA activities that took place during his tenure including the assassination of former KCIA director Kim Hyeong-wook, political sabotage of the opposing New Democratic Party's internal election, and the violent arrest of female workers of a wig company YH Trade. Nearly 200 female workers of YH Trade held sit-in demonstrations at the headquarters of New Democratic Party (NDP) when 2,000 policemen stormed the NDP headquarters on August 11, 1979. In the process, one female worker fell to her death and 52 people including 10 workers, 30 NDP members, and 12 journalists were injured, some requiring hospitalization. Furthermore, KCIA Deputy Director Kim Jeong-Seop and Kim Gye-won testified in their trial after Park's assassination that Kim pursued the firm action in YH case over the objection of subordinates and that Kim wanted stronger measures than the Ninth Decree allowed. [ citation needed ] However, their claims are not thought[ by whom? ] to be credible since some other testimonies are demonstrably untrue and they needed to distance themselves from Kim. On the day of assassination, Park and his entourage visited ribbon-cutting ceremonies for a dam in Sap-gyeo-cheon and a KBS TV transmitting station in Dang-jin. Kim was expected to accompany him since the TV station was under KCIA jurisdiction, but Cha blocked him from riding in the same helicopter with President Park. Director Kim angrily excused himself from the trip. After the trip, President Park instructed KCIA to prepare for one of his numerous banquets - on average ten per month according to KCIA Chief Agent Park Seon-ho, one of the conspirators - at a KCIA safe house in Gungjeong-dong, Jongno-gu, Seoul, South Korea. It was to be attended by President Park, KCIA Director Kim, PSS Chief Cha, Chief Presidential Secretary Kim Gye-won, and two young women - rising singer Shim Soo-bong and a college student named Shin Jae-soon. When Director Kim was notified of the banquet, he called Korean Army Chief of Staff Jeong Seung-hwa 15 minutes later to invite him to the KCIA safe house and arranged to have him dine with KCIA Deputy Director Kim Jeong-seop in a nearby KCIA building in the same compound. Just before the dinner, Director Kim told Chief Presidential Secretary Kim Gye-won that he would get rid of Chief Cha. It is not clear whether Kim Gye-won misheard or misunderstood Director Kim or he ignored Kim's words. After killing President Park, Kim asked Chief Presidential Secretary Kim to secure the safe house and ran to the nearby KCIA building where Army Chief of Staff Jeong Seung-hwa was waiting. Jeong heard the shootings and was discussing them with KCIA Deputy Director Kim Jeong-seop when Director Kim came in breathless to tell them that an emergency situation had occurred. In the car, Kim notified Jeong that President Park had died, but without explaining how he died. Kim hoped that Jeong and Chief Presidential Secretary Kim would support him in the coup as both were appointed to their position on his recommendation, and Chief Presidential Secretary Kim was especially close with him. The car initially headed to KCIA Headquarters in Namsan district but eventually went to Army Headquarters in Yongsan district since the Army would have to be involved in declaring emergency martial law. Many historians believe that Kim made a critical mistake in not going to KCIA HQ where he would be in control. However, his failure to gain Jeong's support sealed the fate of the conspirators. The President's Last Bang is a 2005 satiric black comedy film by South Korean director Im Sang-soo about the events leading to and the aftermath of the assassination of Park Chung-hee, then the South Korean President, by his close friend and Korean Intelligence Agency director Kim Jae-kyu. Park Chung-hee, President of South Korea, was assassinated on October 26, 1979 during a dinner at a Korean Central Intelligence Agency (KCIA) safehouse inside the Blue House presidential compound, in Gangjeong-dong, Seoul. Kim Jae-gyu, then the director of KCIA and the president's security chief, was responsible for the assassination. Park was shot in the chest and head, and died almost immediately. Four bodyguards and a presidential chauffeur were also killed. The incident is often referred to as "10.26" or the "10.26 incident" in South Korea. 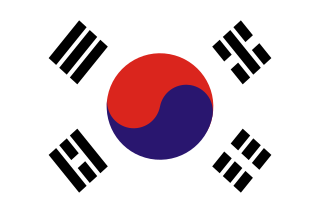 The October Yusin or October Restoration was an October 1972 South Korean self-coup in which President Park Chung-hee assumed dictatorial powers. Park had come to power as the head of the Supreme Council for National Reconstruction after the May 16 coup of 1961, and in 1963 he won elections and assumed office as civilian president. Good Morning President is a 2009 South Korean film written and directed by Jang Jin that takes viewers to the private quarters of the Blue House during the terms of three fictional presidents, each trapped between political and ethical choices. It was chosen as the opening film of the 14th Busan International Film Festival and was released in theaters on October 22, 2009. Dream of the Emperor is a South Korean television series that aired on KBS1 from September 8, 2012 to June 9, 2013 on Saturdays and Sundays at 21:40 for 70 episodes. National Security is a 2012 South Korean prison drama film based on the memoir by Kim Geun-tae, a democracy activist who was kidnapped and tortured by national police inspector Lee Geun-an for 22 days in 1985 during the Chun Doo-hwan regime. Assassination in Seoul. TIME Magazine (1979-11-05). Retrieved on 2007-11-18.